The new devices follow what was a quite rough 2018 for LG. 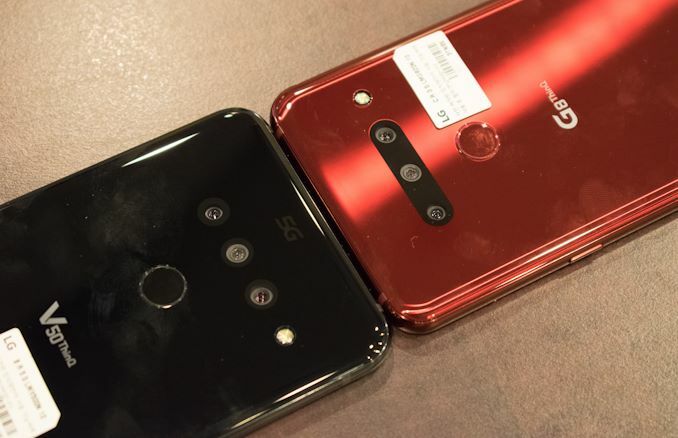 The G7 and V40 were relatively good devices, but based on our analysis, each came with some deal-breaking compromises in their execution, such as disappointing cameras or lacking battery performance. For 2019, LG not only has to bring new differentiating features to the table, but most importantly the company has to execute well on the basics in order to keep up with the competition. 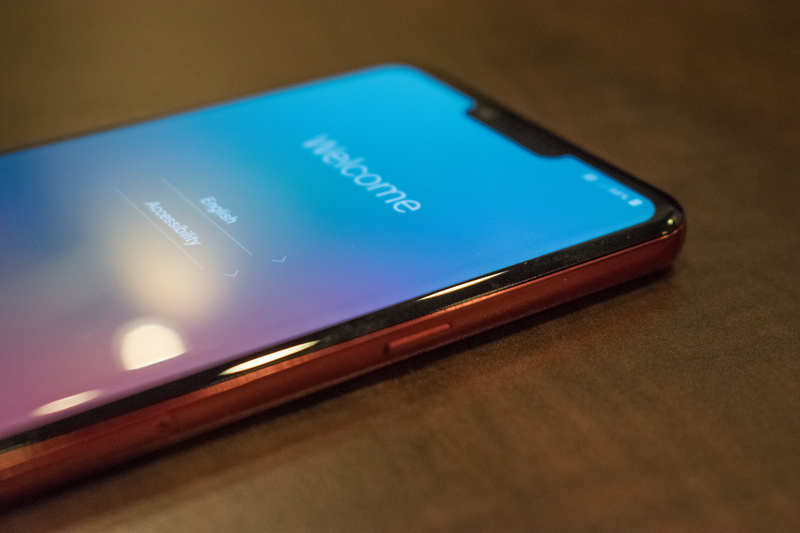 The new LG G8 ThinQ is the follow-up to last year’s G7 – straight out the door what is the most significant feature of the new phone is that LG has for the first time employed an OLED display instead of a more traditional LCD. LG has pushed hard to improve its mobile OLED display panels over the last few years, however they haven’t been able to quite execute – lacking in either display quality or in display power consumption. 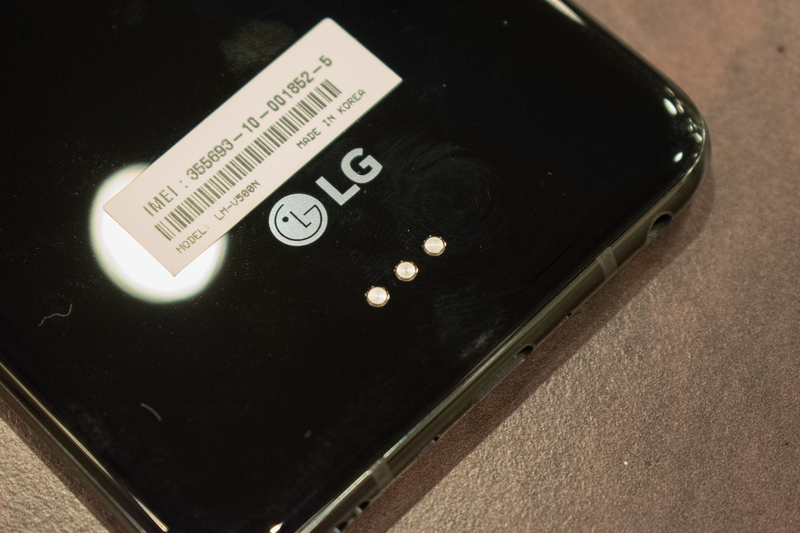 LG adopting an OLED panel in the new G8 is possibly a sign of great confidence in the new generation, hopefully representing a new no-compromise solution. 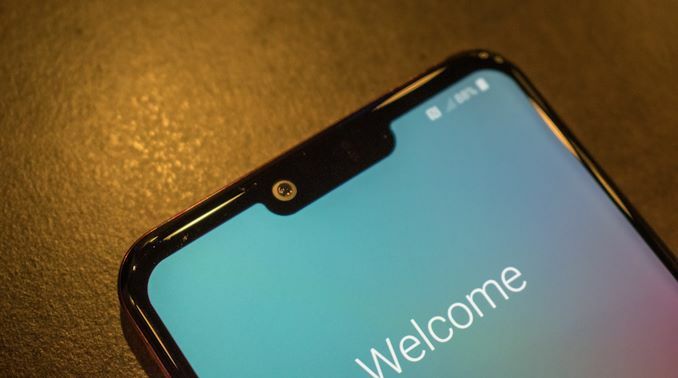 Design-wise, the new G8 is very similar to the G7, continuing the use of a display notch and a glossy all-body design. With a 6.1” display and 3120 x 1440 pixel resolution, the G8 also matches the G7 on paper. The form-factor hasn’t changed and the phone is still a very useable 71.9mm in width – representing a sweet spot just below the 74-75mm larger form factor that is covered by the V-series. LG was able to notably increase the battery capacity of the G8 to 3500mAh, a larger jump from the G7’s 3000mAh unit. Hopefully the new SoC, display and increase battery capacity will resolve the battery concerns of the G7. The triple-camera setup that LG had introduced on the V40 continues onto the new G8 and V50. Here we find an updated 1.4µm 12MP sensor for the main camera module. This represents a reduction in megapixels, however due to the increase in the pixel pitch it should actually result in an actual increase in spatial resolution to last year’s devices. Interestingly LG is opting for a quite large f/1.5 aperture for the new phone. Samsung also has such a large aperture in its devices, however is able to combat some of the consequences with a second aperture setting. LG’s new unit thus will need to have excellent optics in order to avoid chromatic aberrations that are closely tied to such high aperture lenses. The second module is a 12MP 2x telephoto unit with 1.0µm pixel sensors and a f/2.4 aperture. LG first adopted a zoom lens on the V40 and it’s good to see this triple-camera setup continue as it will be a required feature for vendors wanting to compete in 2019. Finally, the third camera module is LG’s characteristic wide-angle lens, with a 16MP 1.0µm sensor and a f/1.9 aperture. 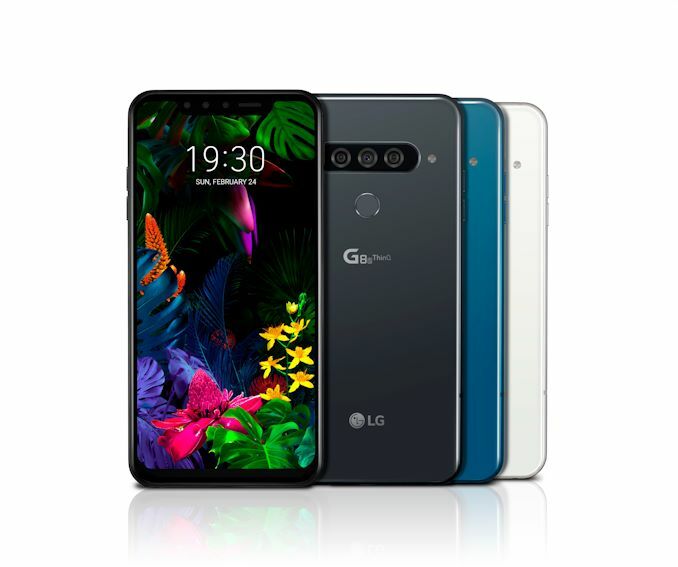 The weird thing is that LG has briefed us on two different units of the G8 – one with the presented 3 camera sensors, and another unit with just two modules. LG explains that this might be a regional differentiation and explains that what will end up on the market will be determined by carrier and customer demands of that region. 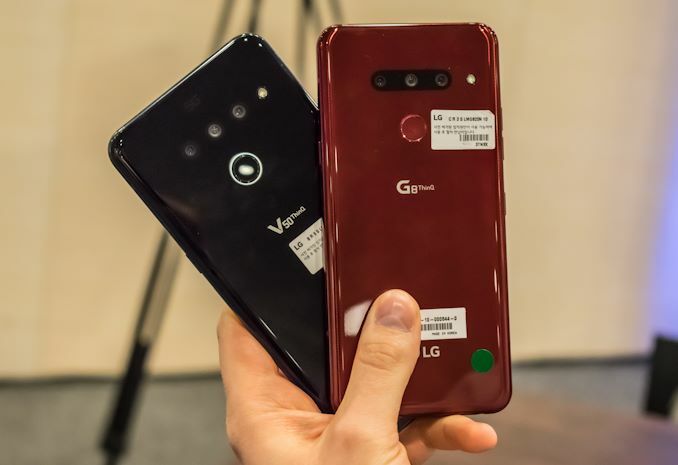 Seeing the new LG V50 announced today was quite odd as it’s hasn’t been all that long since the V40 had been launched. In truth, we won’t see the V50 till later in the year, and it seems today’s announcement is just a teaser to show us what to expect of LG’s 2019 5G offering. Similar to the G8, the V50 is an iterative design over last year’s V40. In terms of design, there hasn’t been all that much changes other than possibly smaller dimension fine-tuning. The V50’s screen doesn’t represent an as big of a departure from the V40’s unit as the G8 does to the G7. Here we find an 6.4” OLED screen with a 3140 x 1440 resolution. The one notable thing about the G8’s and V50’s new screens are the inclusion of support for HDR10 content. 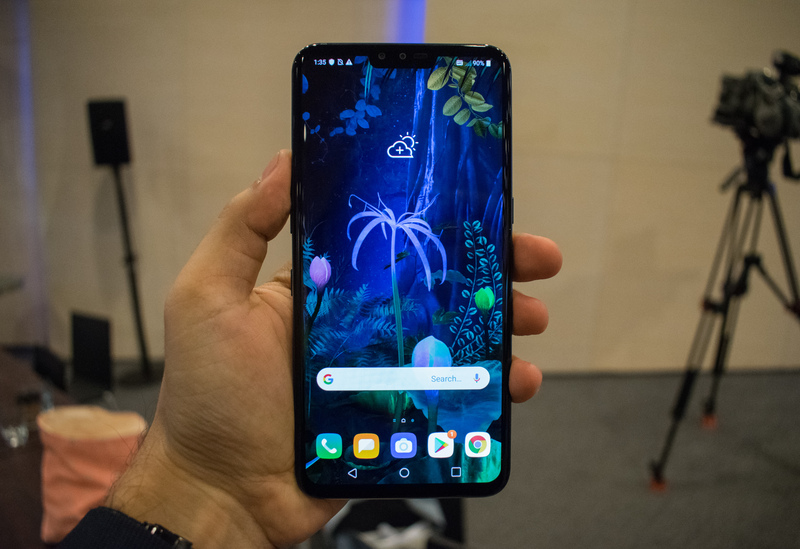 LG claims massive improvements in regards to aspects such as colour accuracy of the new phones – something we’ll eventually have to test hands-on. The V50 offers the same camera setup as the new V50 so the phone certainly isn’t lacking in that regard. Other improvements of the new phone includes the introduction of a bigger capacity battery, reaching 4000mAh. On the back of the V50 we find three pogo pin connectors. 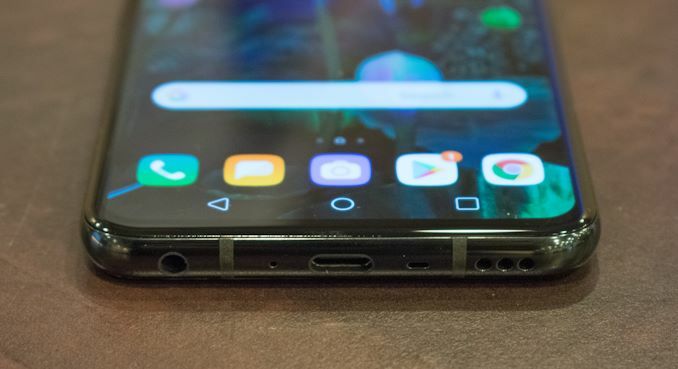 The connectors are actually a key feature of the phone as it enables LG to connect a special kind of accessory to the V50: A second screen. 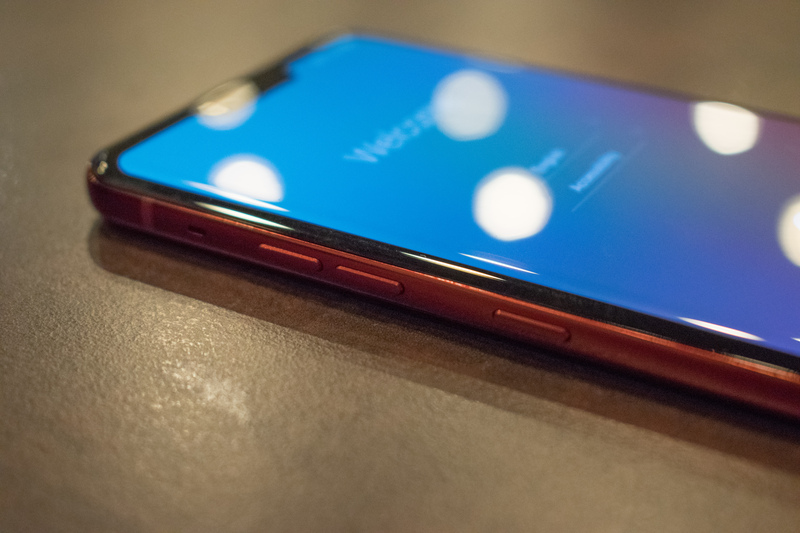 The second screen accessory, simply called “Dual Screen for LG V50”, is a 6.2” 2160 x 1080 OLED screen that attaches onto the V50. This is enabled by a helper case and is making use of the V50 rear pogo pins. Interestingly, the actual display data isn’t transferred over the pins, but rather via a very short-range wireless communication method supplied by Keyssa. The second screen is LG’s response to foldable phones this year. The feature represents an accessible approach to enabling some of the advantages that foldable displays are promised to bring, without having to break the piggy bank. 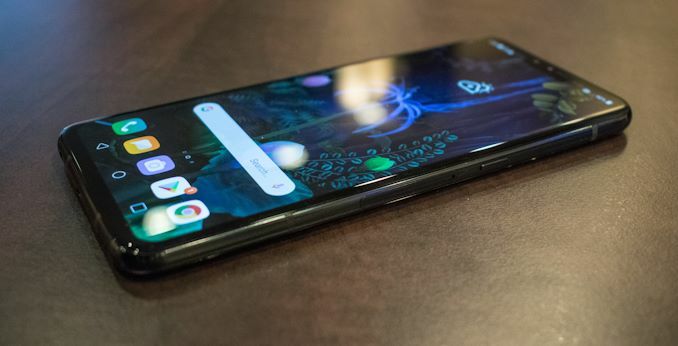 LG explains that they simply do not see the market demand to provide a full flexible display phone this year – even though the company has long had the technology for such flexible OLED panels. 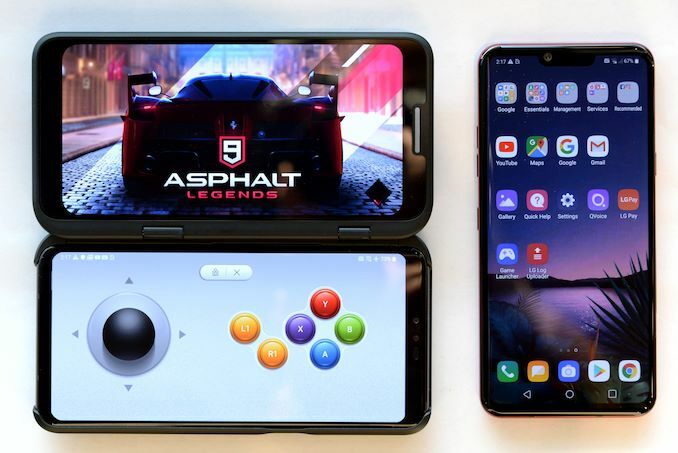 The new LG G8 will be available in the coming months in various regions. LG hasn’t disclosed pricing at the event, as will follow-up with regional-specific announcements. The new V50 5G will be available later in the year. In the US the phone will at first be exclusively carried by Sprint supporting sub-6GHz 5G networks. The V50 will be also available later on Verizon with mmWave compatibility, as well as other staggered global releases depending on carrier deployment progress of new 5G networks.